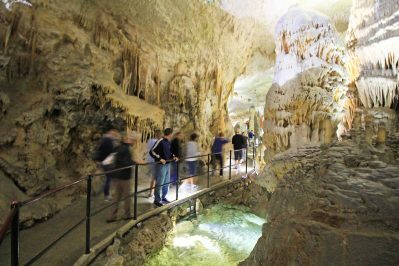 The Postojna Cave it’s one of the top tourist attraction of Slovenia and it has one of the longest cave systems in the world. 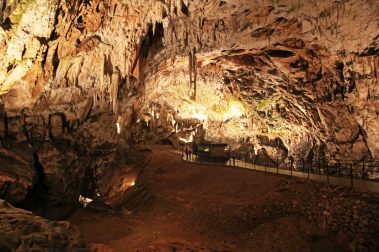 It has a 200 year history of being a show cave, but the first “official visitor” was the Austrian heir to the throne, Ferdinand I. 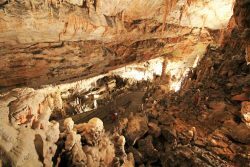 Until today the caves count 38 million visitors. Honestly, when you go there it felt a bit like visiting some kind of Entertainment Park – lots of people, restaurants, kiosk, souvenir shops and huge ticket corners. Driving inside the caves with the 140 years old train was a really cool adventure. The drive takes about 30 minutes, you pass some beautiful drip stones, natural sculptures and sometimes it felt like you have to mind your head because the tunnel was so tight. 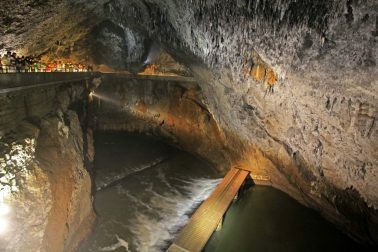 Don`t forget to bring some warm clothes, even in summer the caves are cold -> 8-10 degrees Celsius! After the drive, you will have a guided tour by foot. You will walk an illuminated path and everything is perfectly safe. First you are passing the Great Mountain, then you are going to cross the Russian Bridge to come inside the beautiful caves. 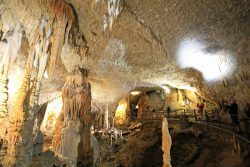 Spaghetti Hall, White Hall, Red Hall and the famous Brilliant Passage – all the caves have a characteristic color and shape of the stalactites and stalagmites which had been found inside. At the end of the tour, don`t miss to have a look inside the aquarium of the proteus (also called the olm or the human fish). 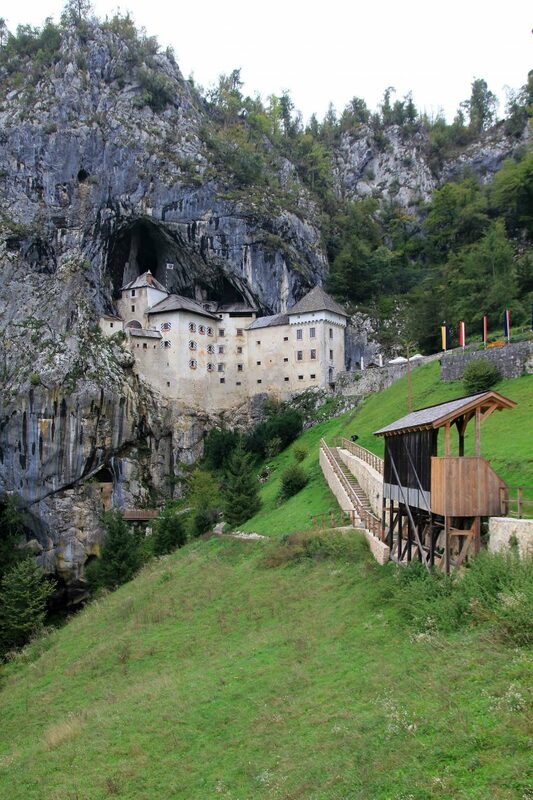 The Predjama Castle is the largest cave castle in the world an absolutely worth a visit. 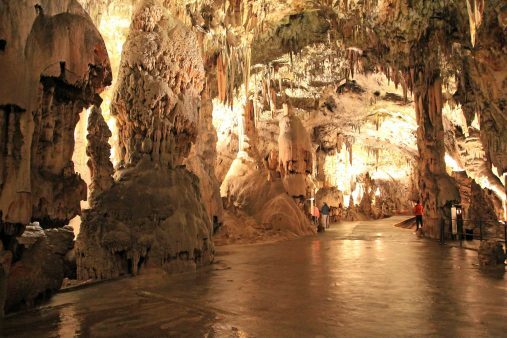 It’s just 9 km from Postojna Cave, so if you are there don`t miss it. The first thing that attracts our attention was the castle’s location – it was built just next to an impressive 123m cliff! And they are so right! Today, the castle is a museum on five floors that shows the life in the 16th century. 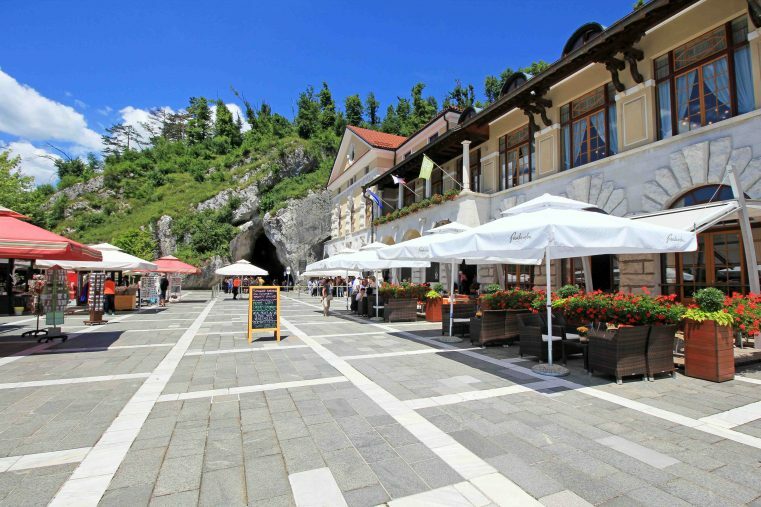 If you are up to visit the caves inside you have the possibility to buy a combi-ticket Postojna Cave & Predjama Castle. All in all, we had a fantastic time visiting these caves and the castle was also very impressive. We recommend it to anybody! I’m hoping to visit Slovenia very soon, such a beautiful place! And castles and caves are two of my favorite things to explore so will definitely plan to visit both of these spots. Your photos from the cave are incredible! 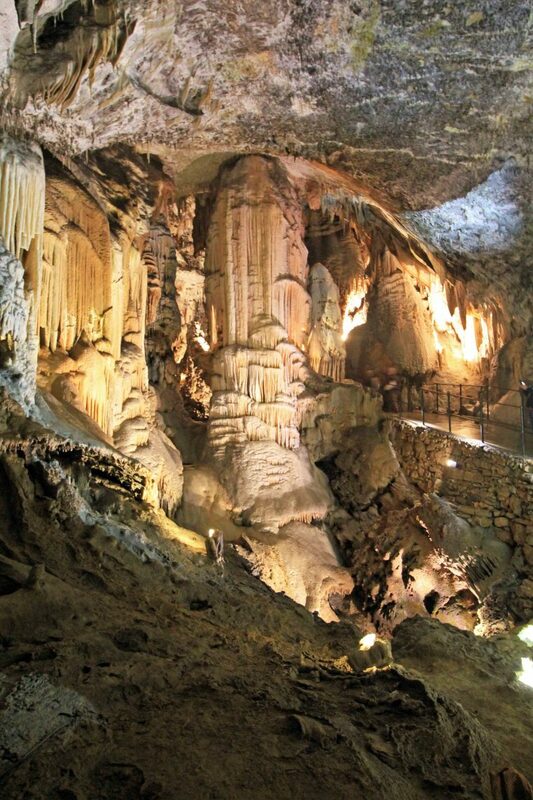 So here’s a funny story- when I was about 5 my parents took me to see the Postojnska cave. And to keep me from wander off they told me that a girl was lost once in the cave. Then our guide decided to switch off the lights (do they still do that? ), like for fun. Obviously, I started crying. 😀 And when we came back home, I clearly remember being very upset about that lost girl, and asking my parents what had happened to her. :))) I would love to visit now as a grownup! 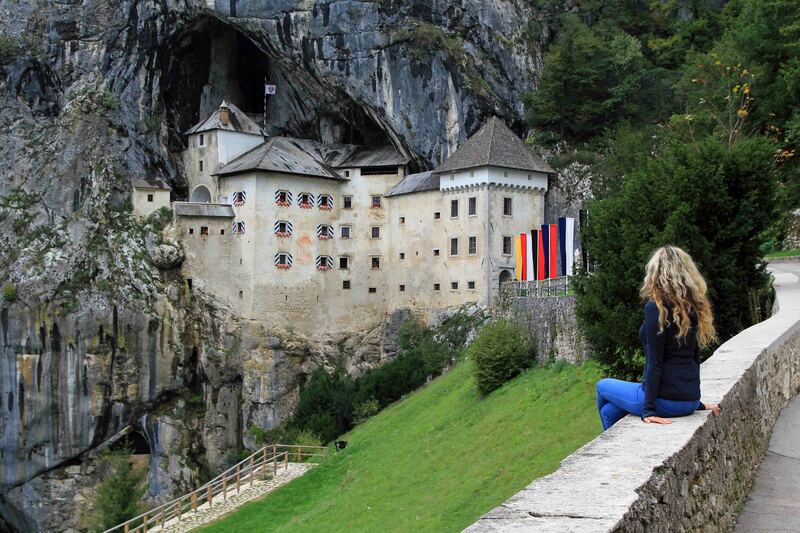 Your photos look wonderfull, especially the Predjamski castle! Looks absolutely amazing. I think those look like the coolest caves ever. And what a castle! You can go inside the castle right? I’m dying to go to the Balkans. Wow! 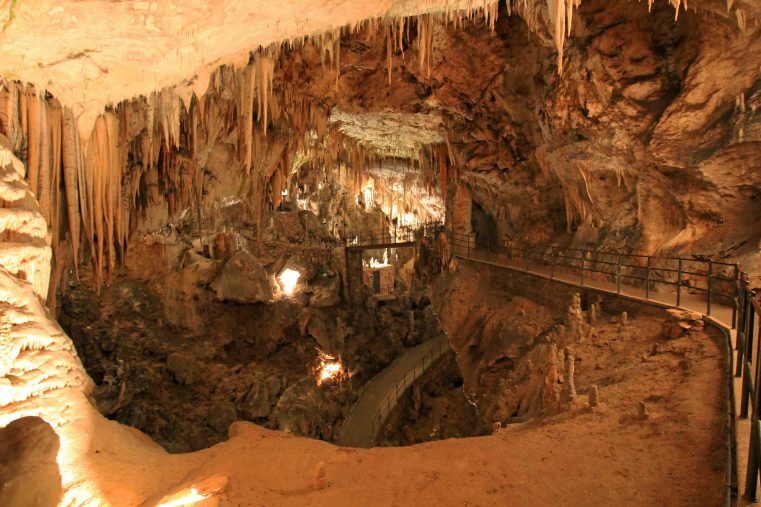 The Postojna Cave seems like a must do as soon as possible, Martina and Jürgen. Excellent suggestions and recommendations. Any tips for avoiding the crowds? 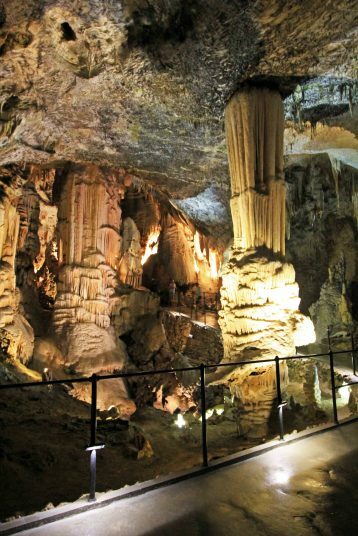 If you are visiting the caves in summer, be there early in the morning. That’s a great combination of things to do. I’m fascinated by the idea of a train into the caves, and the trip sounds long enough to really appreciate all the formations inside. I’m very fond of castles – in fact we went to one only last week – and I’d really enjoy the museum it contains – that’s my favourite period of history. Oh my gosh – your photos (and Slovenia) look stunning! The castles look dramatic indeed, and those caves are wonderful examples of stalactites and mites! That’s the kind of excursion I love. your pictures look amazing, they turned out great! 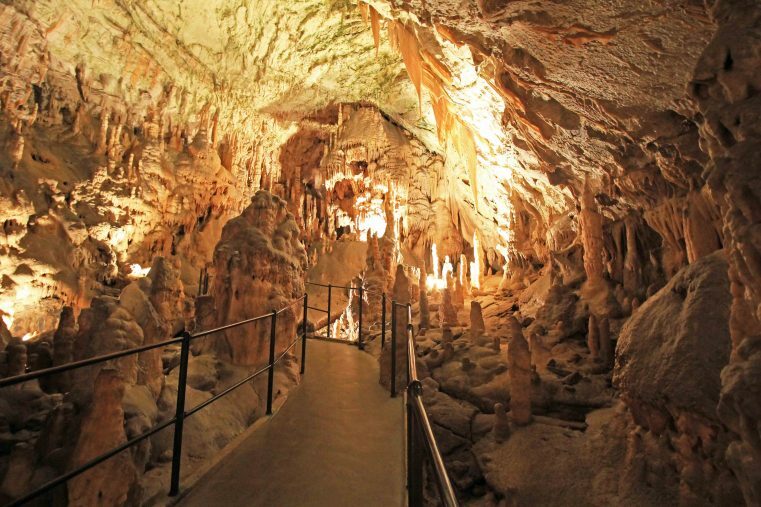 I would really like to visit Slovenia and this cave looks awesome. I recently went to a cave in Cuba which they ‘converted’ into a night club…..very interesting concept! None of this even looks real! I remember the very first travel blog post I read was about how Slovenia was an underrated country and they’re right! And I didn’t think the caves would be that cold, even in the summer, I would have never thought about that! We saw like this in Dinant but I could quite easily get down underground to see these too…they look amazing. Slovenia is one of those countries that just has so much going for it but is so unknown. Taking a train to get there is a cool way to travel. And who can ever pass up a beautiful European castle, I know I can’t! What a gorgeous place! 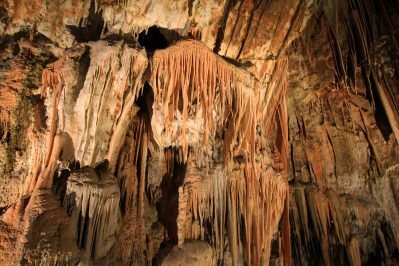 I love caves like that – we have Luray Caverns just up the road from us in Virginia, and they’re always so magical to visit. But they don’t come equipped with a castle like that! WOW. Gorgeous pics and great adventure!